We have a bathroom again. 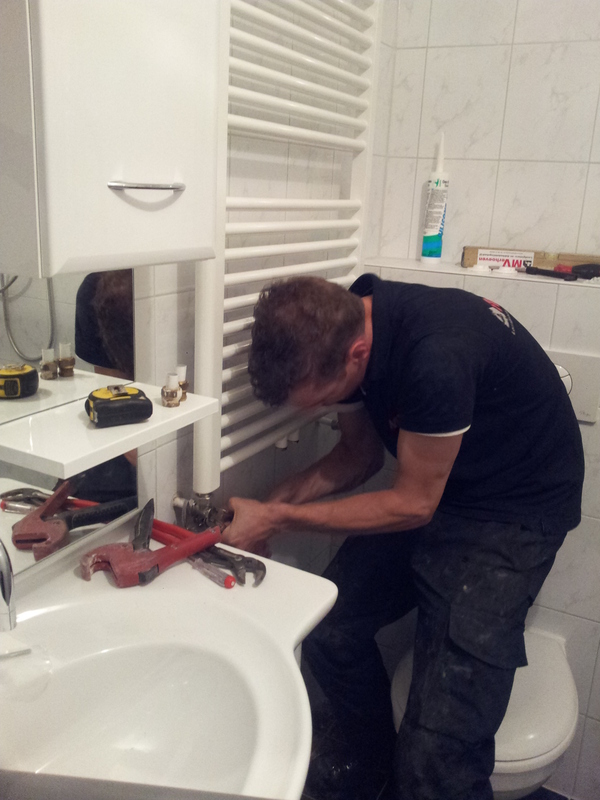 Koen and the plumber have been here the whole afternoon fitting in the toilet, taps, showerhead, radiator and doing the finishing touch. All the boxes are removed and Justus can have his room back (without the rent being raised for extra features). We are the proud owners of a very posh bathroom now. Below is a picture with all the appliances fitted. I still need to clean the bathroom as it is covered with brickdust from the drilling and the floor is sticky. We want to express our thanks to Koen and his comrades for the hard work and effort they have put in, making the last 2 weeks (without being able to shower) as positive as can be. I even felt a bit sorry to see them leave in the end as I really started to get used to them. We still need to put the washing machine back and fill up the cupboard with towels but first we need to clean this room and get Justus room clean again. I better get on with this before the kid comes home in a few hours. Will fill you in on the details in a later post. 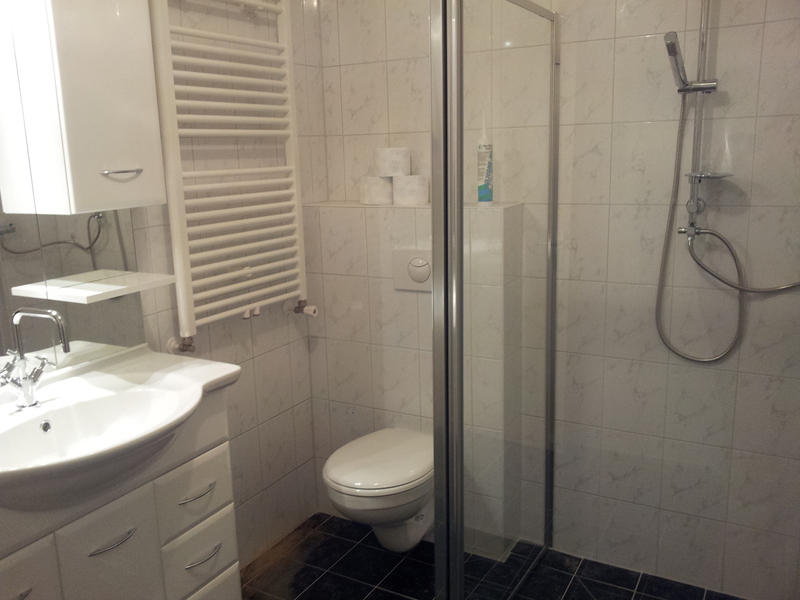 This entry was posted in House DIY, What's happening and tagged bathroom, home, shower. Bookmark the permalink.